Wife of Retired Veteran turned Truck Driver (Johnathon), I have chosen to spend my time as a stay-at-home mom. We have 3 kids together (Bubbie, Em', & Cha-Cha) & I have an awesome "Bonus Son" from my husband's previous marriage. Education is something I believe to be SUPER important but Reading is the answer, not necessarily years of schooling. Anyone can do anything as long as they put their minds to it & are determined. And as far as my "freetime" is concerned: I enjoy reading, pen-palling, spending time with my family, meeting new people, & working towards an amazing future. Lately, I have a bit more time to myself since the youngest recently turned 2. And with that time I have decided to combine my love for reading & my passion for blogging to bring you guys this amazing blog! Along with it's companion Youtube channel of the same name. My main mission is to share my love for reading with you guys. This includes a wide range of things. A few examples are: Book Reviews, Author Interviews, Cover Reveals, & various lists centered around all things "bookish". Though these things will make up the majority of my blog, I also plan to share more personal posts with y'all. Hence, the subtitle: "Books, Babblings, & More". Not only do I wish to share the awesome world of literature with you guys, but I hope to share a part of myself with y'all. Making this more than just a blog. I want this to be so.much.more! With that being said: be sure to follow/like/subscribe to all of my other social media outlets. Links can be found in the sidebar to the right ---> I almost always follow back. & I'm super active on most sites. I own 16/24 books from Laurell K. Hamilton's Anita Blake series. I read from my Kindle Fire, listen to Audible, or read physical books. It varies. I'd rather read than watch television or a movie, any day. I prefer paperback books to hardcover books. 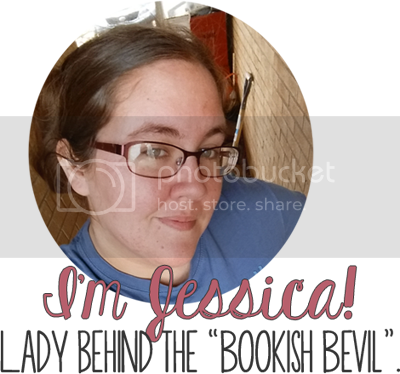 Thanks to everyone for joining me for the first, of many, posts on the "Bookish Bevil" blog. I look forward to sharing my passion for all things bookish with y'all! Till next time!